Explore the historical city Namur, from our hotel. Thanks to the central location, everything is easily accessible. Tip: Visit the African museum of Namur across the street to experience the colonic history of Belgium. Discover the lovely historic city centre of Namur and relax at ibis. 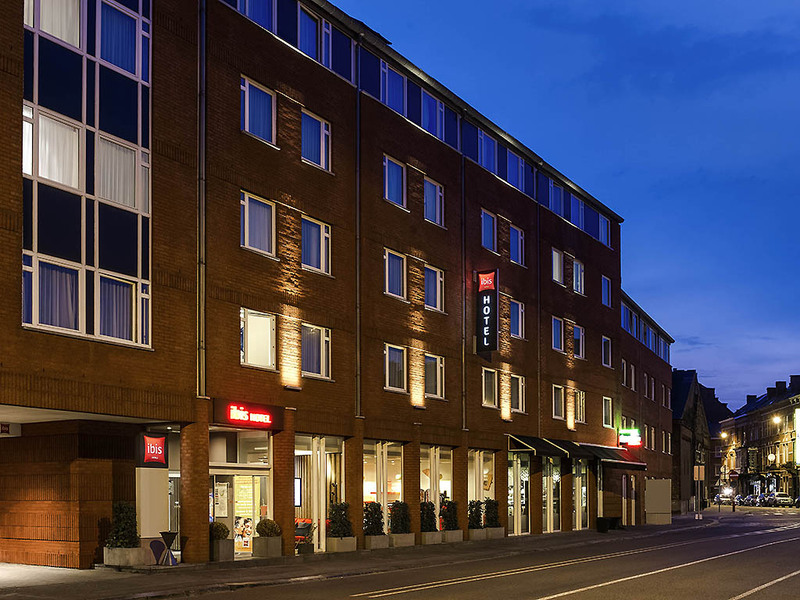 Our hotel is located 600 meters from the Namur's train station, a short walk from the university, the Casino de Namur and the city's historic and business centre. Discover Namur, the capital of Wallonia, famous for its citadel and unique location at the confluence of the rivers Meuse and Sambre: a friendly, relaxing destination for business travellers, tourists and sports people. Our hotel is easy to reach by both car and public transport. Namur's central train station is just 10 minutes walking away. The A4/E411 highway is easily reached by car and takes you to either Luxembourg (south) or Brussels (north). The rooms at ibis Namur Centre are modern and inviting with comfortable new Sweet Bed by ibis bedding and a functional bathroom. All rooms have a TV and free WIFI - everything you need to feel at home.